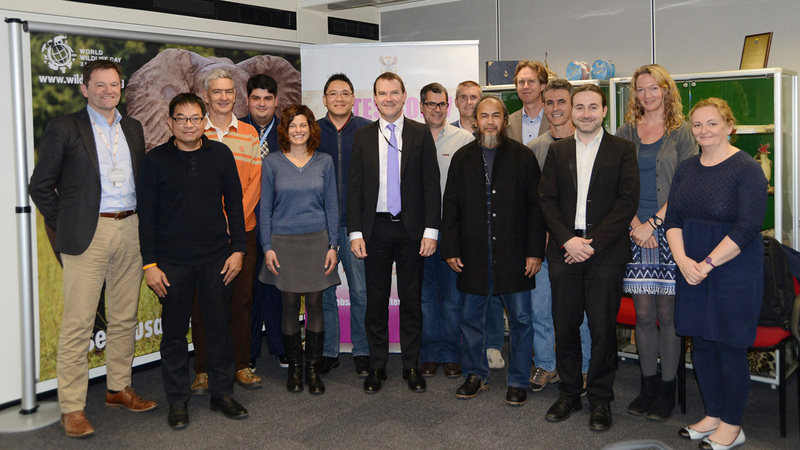 Geneva, 15 March 2017 – Experts from Regional Fisheries Management Organizations (RFMOs), Regional Fisheries Bodies (RFBs), United Nations Food and Agriculture Organization (FAO) and the Convention on International Trade in Endangered Species of Wild Fauna and Flora (CITES) met in Geneva from 13 to 15 March to discuss past and future cooperation on implementing CITES for marine species. ICCAT, IOTC, IAATC, SEAFDEC and WECAFC (see footnote) all play an important role in the sustainable management of shark and ray species in their geographical areas of competence. The workshop built on a range of partnerships and activities established in the course of a three year project (2013-2016), financed by the European Union, to assist developing countries in implementing the Convention for five species of sharks (Sphyrna spp., Carcharhinus longimanus, Lamna nasus) and all Manta rays (Manta spp. ), which were listed in CITES Appendix II in 2013. The project “Strengthening capacity in developing countries for sustainable wildlife management and enhanced implementation of CITES wildlife trade regulations, with particular focus on commercially-exploited aquatic species” followed a two-phase approach, starting with an in-depth capacity assessment for countries most heavily involved in the fishing of and trade in sharks. Based on this assessment, a set of activities were implemented in close collaboration with FAO and RFMOs, to assist CITES Parties in making sure that international trade in the newly listed sharks and rays is conducted in full compliance with CITES, and the trade is legal, sustainable and traceable. 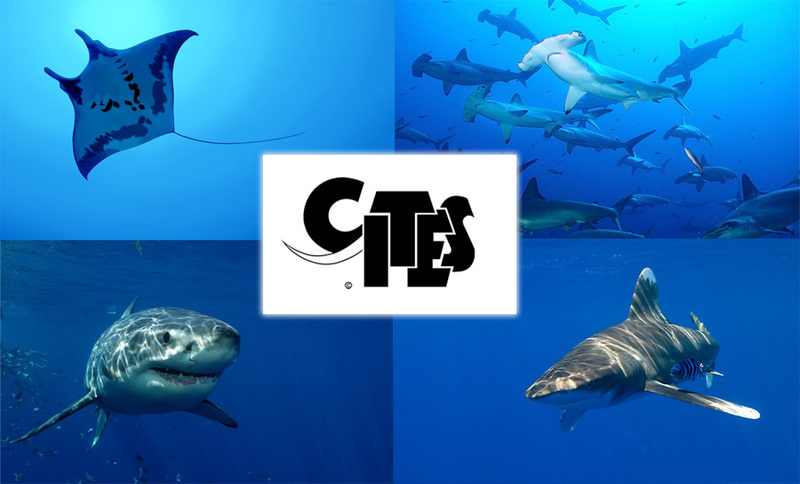 Drawing on these experiences, the 17th meeting of the Conference of the Parties to CITES (CoP17, Johannesburg, 2016) adopted a large number of decisions relating to the management of and trade in sharks and rays (Decisions 17.209 - 17.216). Also at CoP17, Parties decided to include four additional species of sharks (Alopias spp. and Carcharhinus falciformis) and nine species of rays (Mobula spp.) in Appendix II, with entry into force delayed until 4 October 2017 and 4 April 2017 respectively. The workshop provided a wonderful opportunity for the CITES Secretariat, FAO and RFMO/RFBs to take stock of successes and lessons learned during the implementation of activities in the 2013-2016 project. Furthermore, participants exchanged information and ideas on a range of issues, including: work programmes and priorities for the next few years; scientific management of sharks and rays; the collection, analysis and exchange of data; and ways to further improve communication. The meeting helped to identify common goals and synergies, as well as possible opportunities for future collaboration, including potential activities for a second phase of the EU-funded CITES project for 2017-2019. ICCAT – International Commission for the Conservation of Atlantic Tunas; IOTC – Indian Ocean Tuna Commission; IAATC – Inter American Tropical Tuna Commission; SEAFDEC – Southeast Asian Fisheries Development Centre; WECAFC – Western Central Atlantic Fishery Commission.